Since being more active on Instagram, I've stumbled upon a few new blogs that have become part of my regular reading list. One of which is Circle of Pine Trees, a blog written by freelance writer, editor and photographer Laura, for people who notice the beauty in life's little moments, full of kitchen stories and outdoor adventures. It's beautiful and I've spent a good few hours reading back through posts and admiring Laura's wonderful pictures. 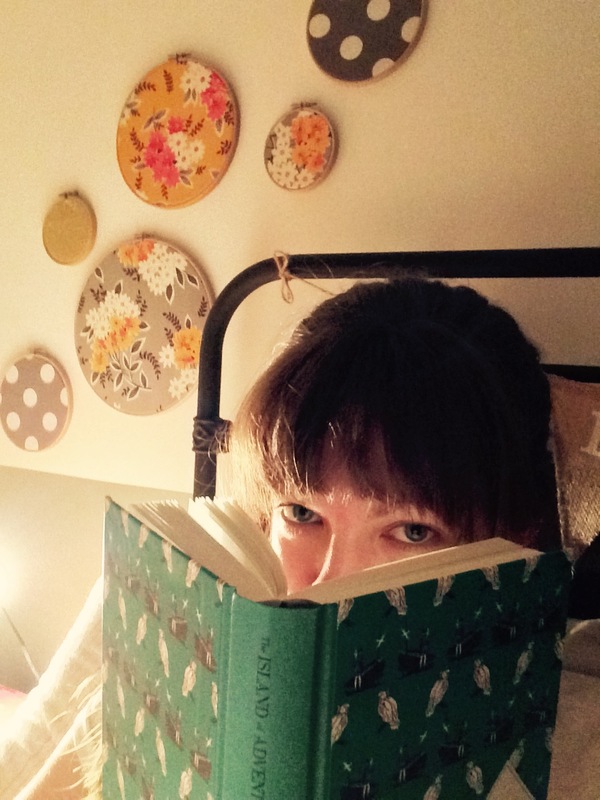 Laura runs a project every year called The Year In Books. 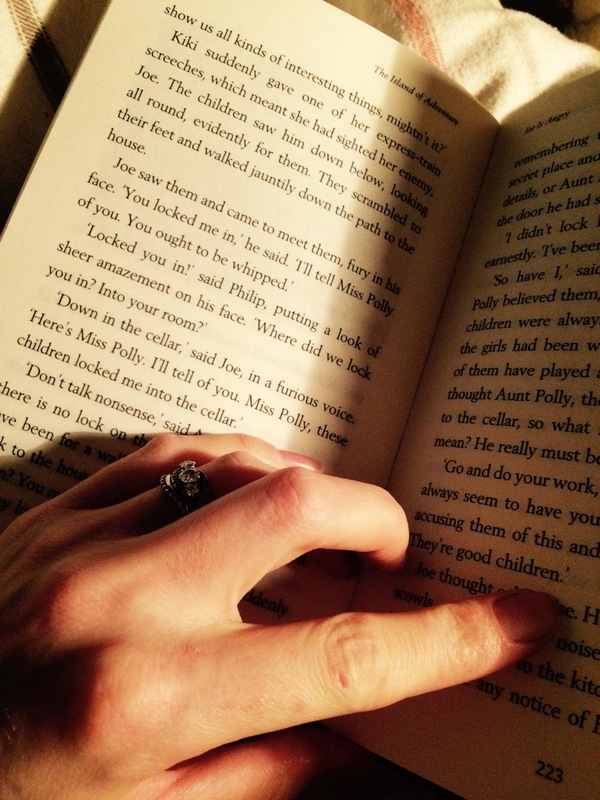 It's a project anyone can join in with and share on social media, and the idea is that everyone taking part makes time and space in their busy life to read at least one book every month. You can find out more about the project and how you can join in here. On the last Monday of the month Laura hosts a live twitter chat using the hashtag #theyearinbooks, where participants can discuss what they're reading, and get some recommendations for books to read in the coming months. I think it's a great idea! I've got books everywhere that I've been saying for months that I'll read, and I always seem to prioritise something else that feels more important. Reading, like art and music and all the other sometimes seemingly unimportant things are actually far more important than the other things we prioritise. They're the things that make us feel whole, that give us joy, that inspire us to cook and travel and write and give us that feeling that I've written about so many times before, the one you can't put into words but that makes you want to shout and laugh and cry all at once because something has touched you in a way you couldn't possibly explain. I am definitely guilty of getting too caught up in the everyday to remember how important it is to seek out that feeling at every opportunity! While it's not a traditional book club, and the idea isn't that everyone reads the same book, in February, Laura has suggested it might be fun for participants read The Trouble With Goats and Sheep, by Joanna Cannon. I've pre-ordered it so I can get started once I've finished my January choice. 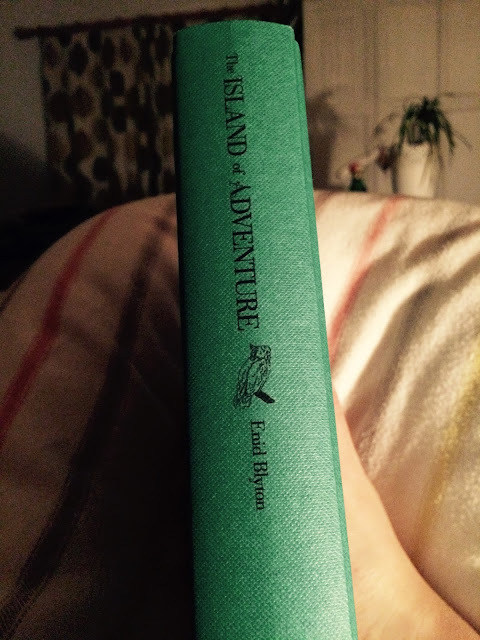 January's book is one I got for Christmas, The Islands of Adventure by Enid Blyton. 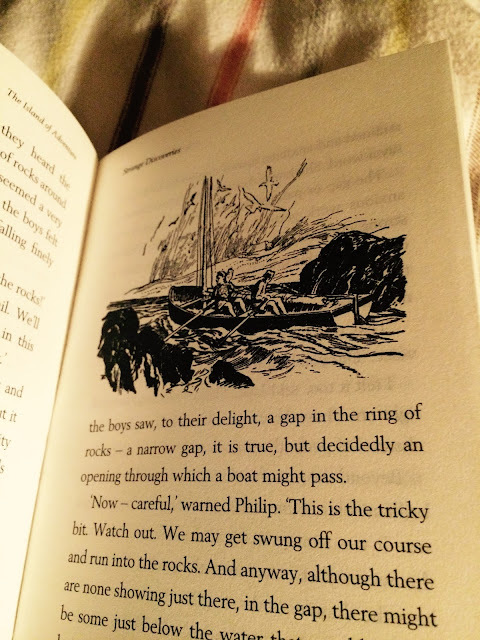 My Mother in Law bought it for me knowing how much of an Enid Blyton fan I was when I was younger, and assuming I had read and it before and it would therefore be a nice trip down memory lane. However, while I read the Famous Five stories over and over for a good decade, and loved the Magic Faraway Tree series so much I wore out my audio cassette tapes, I hadn't ever read any of the Adventure Series! 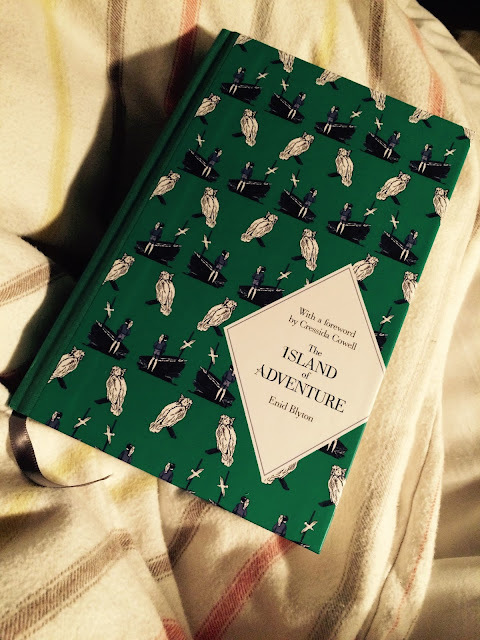 It' s been the perfect book to get an early night with and hide until the Spring, when the evenings are hopefully light enough to do a bit of that windswept beach walking and cave exploring that sounds so appealing! Please do head over to Circle of Pine Trees and join in too! I've been struggling recently too with trying to fit in reading while also doing uni work so this is a great idea. I love your edition of The Island of Adventure, it's gorgeous! I remember that feeling all too well, but you'll miss uni when you're done believe me! I love this edition too, my mother in law definitely has good taste in books!